I just saw Lady Macbeth, based on Nikolai Leskov’s novella Lady Macbeth of Mtsensk (also made into an opera that almost got Dmitri Shostakovitch sentenced to Siberia for rather obvious reasons). 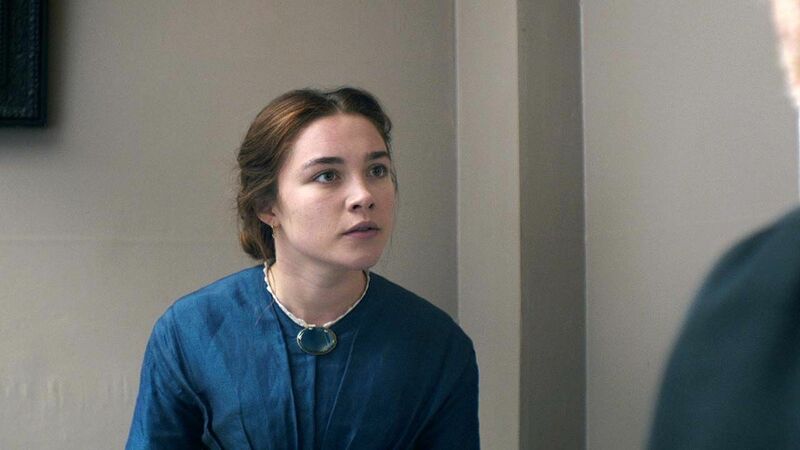 The film has magnificent cinematography — the Yorkshire moors never fail to form a mesmerizing backdrop — and a ferocious, career-making performance by Florence Pugh, 19 at the time. Those with Netflix access will see her equally spirited and charismatic as Elizabeth de Burgh, stalwart partner of Robert the Bruce, unfortunately played by Chris Pine. However, Lady Macbeth stumbles in trying to shoehorn a facile, shallowly treated racial angle into an film that has (too) many messages about gender and class; and the critics made this worse by deciding to call a cast member, who’s an USian of Armenian ancestry, “a person of color” (if he is, so am I — in such classifications, the “woke” ultra-PC are as primitive and tone-deaf as their supremacist adversaries). 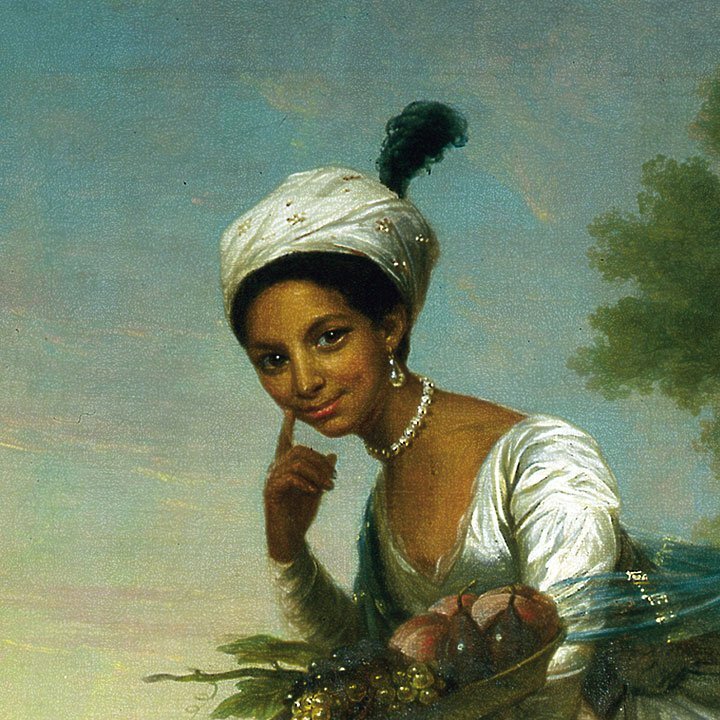 We can/should celebrate and firmly keep in memory the very real (and often dramatic) presences and contributions of people who found themselves between, from the two famous Alexanders — Pushkin and Dumas — to Dido Elizabeth Belle. Speaking of Belle, the riveting issue of a mixed-race upperclass male heir is posited in Lady Macbeth only to be left almost entirely unexplored, whereas Leskov’s novella is rigorous yet subversive in its character and plot logic. The fact is, the servants in Lady Macbeth would have been treated exactly as shown no matter what their color: class, ethnicity and religion defined humanity at that particular nexus, and the Irish (and the Greeks and…) of the 18th and 19th century were treated as subhuman regardless of hair and skin tones. This, incidentally, is also true of the recent remake of Wuthering Heights: Heathcliff is subtly coded as Irish in the original, and Emily Brontë (whose father’s unmodified name was Prunty, and whose entire family spoke in strong Irish accents, according to witnesses) wrote her paradigm-shattering novel when the Irish famine was gathering force. It’s important to look at classics through new lenses, but selective historic amnesia is a particularly myopic one to choose. Progressives have made both a tactical and a moral error by erasing class (age, too, incidentally) from the intersectional grievance list. Lady Macbeth‘s framing fits too patly into the “white women’s tears” narrative so beloved of pseudo-pious powermongers. If only it were that neat and easy, grasshoppas. And, yes, before someone hastens to “educate” me, I’m fully aware of the behavior of ruling-class women in the Confederate South, British colonies — but also in such less-visited enclaves as Ottoman, sub-Saharan, Brahmin and Han households with their punitive mothers-in-law and tai-tai. Images: 1st, Katherine (Florence Pugh) in Lady Macbeth; 2nd, Dido Elizabeth Belle (cropped from David Martin’s famous portrait of Dido with Elizabeth Murray, her cousin and co-ward of Lord Mansfield).